Electrical extension cords are a great way to extend circuits to areas that you are working, away from available outlets. Sometimes we only need a short extension cord to give us the ability to plug our tools in and complete the project. Then again, I've had many times that I had to tie many extension cords together to reach the area that I needed to reach. But how many extension cords can one tie together and still have the amount of power to power up those tools? Is it actually safe to keep adding extension cords to an existing circuit? Well, there are some other factors to consider as well. how many feet from the electrical circuit breaker panel is the outlet that you are connecting to? It could be 50 feet away on the other side of the house. What is size circuit breaker the circuit connected to? What size is wiring actually feeding the outlet that you are about to plug into? 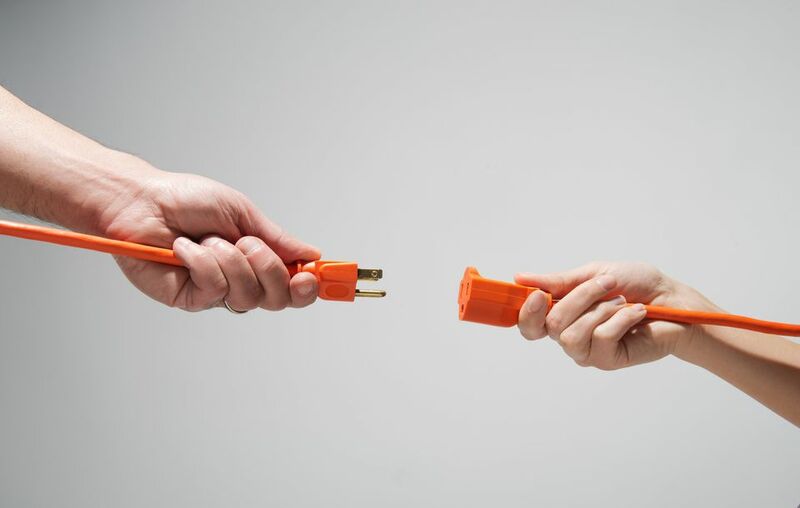 As you can see, there are many factors to consider beyond the reality of the extension cord. The longer the run of wire, the more resistance, and thus, more heat. So how does this affect you? Well, power tools draw a certain amount of amperage to run both correctly and efficiently. This electrical load may be too great for the size of extension cord it is attached to. Because of wire size, the resistance of the wire, and the voltage drop due to the distance, these variables can damage both extension cords and the power tools that are connected to them.Be sure to choose wisely the extension cords by choosing a heavy gauge wire by following the chart that I have provided. You can plainly see the maximum amperage and wire gauge that can supply each over a number of feet of cord. As you add additional feet of cord, the amperage availability gets less. Voltage drop in the cord often doesn't allow the power tools to run at full speed. This causes them to heat up and often inflicts damage on them. Wiring inside the tools can melt as well as inflicting damage to the contacts. As the power tools heat up, so does the extension cords that they are connected to. That, in turn, leads to circuit breakers tripping, often due to a heating up of the breaker and/or overloading of the circuit breaker. To be safe, try not to exceed the extension cord chart below. Be safe, not sorry.